ast week, Vishwa Hindu Parishad activists attacked the west gate of the Taj Mahal complex in Agra with hammers and iron rods, and removed the turnstile gate of the Archaeological Survey of India (ASI). They claimed the ASI had blocked the path to a 400-year-old Shiva temple, ignoring the existence of an alternative path. Many groups, including religious ones, are encroaching on heritage sites across India. The ASI is under-funded, lacking in institutional strength, and ill-positioned to thwart vandals, who may have political clout. 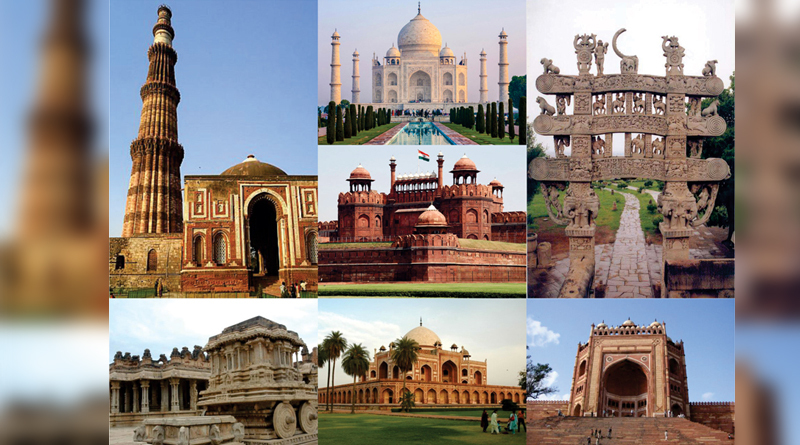 The Modi government has proposed to allow corporations to take over and maintain major monuments. Some have protested at this supposed privatization of heritage sites. But with adequate safeguards, this looks like the best way forward. The ASI in Agra has lodged a police complaint, and an FIR has been registered against two dozen VHP members. But no arrests have been made. The attackers are unrepentant. The more basic question, surely, is why these religious activities were earlier permitted, or winked at within a protected national monument. India has no shortage of temples, mosques or churches. Yet people constantly encroach on public land and monuments, start new places of worship, and then incite religious sentiment to thwart demolition. In some cases, this is just a cynical land grab. The ASI is supposed to maintain and protect 3,678 national monuments. This includes famous temples, mosques and churches that have always been places of worship. But a 1958 law says that in any monument not used for prayer at the time it came under ASI jurisdiction, no religious ceremonies will be permitted. This must be implemented strictly. Heritage sites belong to all Indians regardless of religion. Construction is banned within 100m of national monuments. The government has waived this restriction for public works (highways bridges, railways lines). Many historians and NGOs protested. Yet the danger posed by public works is a trifle compared with that from encroachments, especially religious ones. A few years ago, the Comptroller and Auditor General (CAG) audited 1,655 of the 3,678 protected ASI monuments. It found that as many as 92 were missing! You can lose a watch or cellphone, but how can you lose entire monuments? The ASI says many sites have been encroached on and even built over. Some statues and artefacts listed as monuments have been stolen. The CAG found that in the Dehradun vicinity, the ASI was showing maintenance expenditure for a monument that could not be located! The CAG also asked the ASI if (as widely believed) it had permitted religious ceremonies in 955 monuments, but the ASI could not answer. I recently visited the Feroze Shah Kotla monument in Delhi, famous for its Ashoka Pillar. Refugees from Pakistan in 1947, who set up a small colony within the monument, have not yet been shifted. Within the monument, regular prayers are held at an ancient mosque. The walls are full of niches with burned-out candles and diyas, testimony to informal prayers. The guards do not bother to even remove this evidence of illegal worship. The ASI is grossly under-funded, unmotivated and under-staffed, and cannot protect India’s heritage sites. It moves the courts against hundreds of encroachments, but legal processes take forever. At a time of fiscal strain and populist giveaways to win votes, the government lacks additional funds for the ASI. That is one reason it wants to allow private sector corporations to take over the maintenance or major monuments. Some historians and politicians have protested that this is privatization of Indian heritage. On the contrary, the real privatization is the massive encroachment facilitated by ASI neglect and state government complicity. Private-public partnerships are practically the only way to ensure that our finest heritage sites are protected and restored. The ASI should shift from trying (mostly in vain) to maintain monuments to setting standards for and monitoring maintenance by motivated corporations and NGOs. The Aga Khan Foundation has done a marvellous job of restoring Humayun’s Tomb. We need more such initiatives.